The collaboration produced the LEGO Technic Volvo Concept Wheel Loader ZEUX set, scheduled for release in toy stores in August 2018, as well as a digital prototype for a real-world autonomous machine. What started out as a fun, informal team building event to inspire The Volvo CE and LEGO Technic design teams in 2016, gradually evolved into an idea for an actual LEGO Technic product. 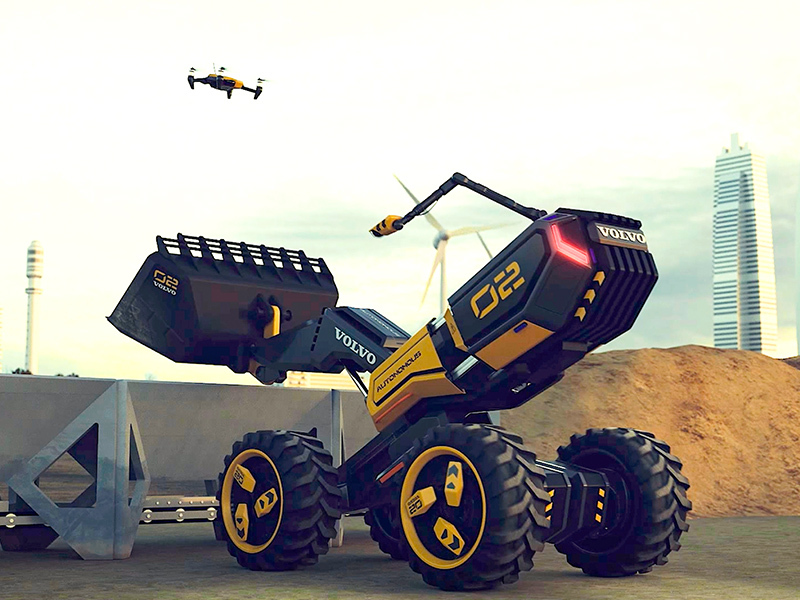 Their goal was to design the construction machines of the future and the collaboration has led to number of potentially revolutionary patents. 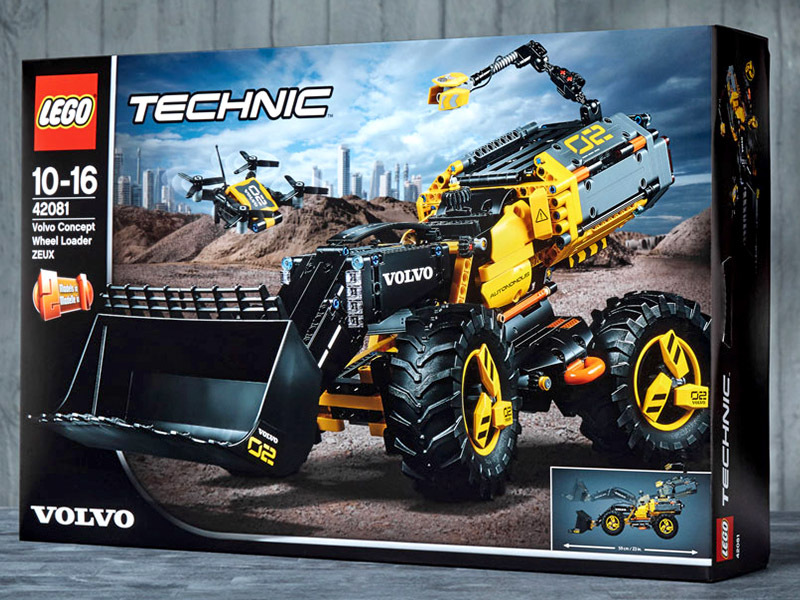 "We have enjoyed a truly fun and productive collaboration with the LEGO Technic team over the past few years," Volvo CE brand communication & partnerships Arvid Rinaldo says. "It allowed us to test ideas for new types of construction machines for the future, both in terms of functionality, scale, design and interaction. 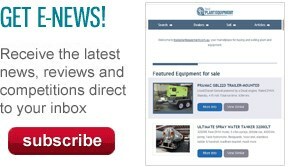 "This model may seem futuristic now, but autonomous, connected and electric construction machines are already starting to be a reality. 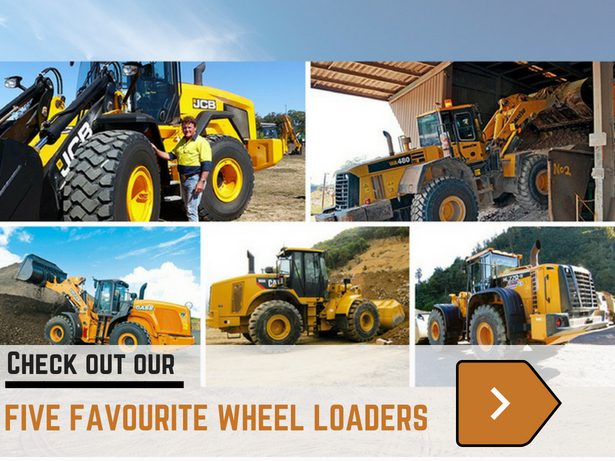 "The Volvo Concept Wheel Loader ZEUX is a realistic next step in the exciting evolution of our construction machines." A focus group consisting of children helped out in the process creating the ZEUX. Looking at early drawings and models, the group gave feedback that led to the development of new, unique features. Two main features that the group decided on were the scout drone and the adjustable camera boom mounted on the roof of the vehicle, called the Eye. In addition to the scout drones and built-in sensors a real-life model would have, the Eye which shows exactly where the vehicle’s ‘attention’ is directed, which means it can make eye contact with humans and acknowledge their presence. "When you cross a busy road, you watch out for dangers and try to make eye contact with drivers in your immediate vicinity," LEGO Group senior design manager Andrew Woodman says. "It’s an instinctive reaction that lets you evaluate your next move. "With autonomous vehicles, you don’t have that interaction because you can’t see all the sensors that allow them to navigate around both stationary and moving objects. It’s not intuitive for us to decode what the vehicle’s next move is, where it’s going, or if it has seen us. While the Volvo Concept Wheel Loader ZEUX will not be driving on roads, it would be interacting with workers at a construction site. So we set out to create features and functions that make the interaction between humans and machines as safe and intuitive as possible." "It has been very motivating helping Volvo CE to develop what could be the future of construction machines."